Are male and female eyes are the same? No…. at Castleknock Cosmetic Clinic Dublin we agree with the 9 out of 10 people in Dublin who don’t agree men and women’s eyes are the same!. 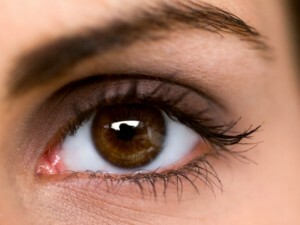 There are major differences between the position and shape of a male eye region to that of a female. Masculine vs. Feminine look. We look closely at these and discuss the effect of ageing on the eyes. Look at this photo… can you tel the difference? The ideal female brow is located at or slightly above the supraorbital rim (the superior bony margin of the orbit) at the glabella and arches above the rim laterally. The highest point of the arch lies between the vertical lines drawn through the outer edge of the iris (lateral limbus) and the outer corner of the eye (lateral canthus). The female eyebrow then arches downward and ends just lateral to a line drawn from the nasal ala to the lateral canthus. The lateral end of the eyebrow should be at the level of or slightly above the medial end. The ideal male brow is placed at the supraorbital rim and is fairly flat. There is also not much variation in the shape or thickness of the male eyebrow throughout its length. The male eyebrow is usually not trimmed, feathering into finer hairs at the tail. The youthful female eyebrow is firm and wrinkle-free and is positioned in the middle of a gentle vertical arc from forehead to eyelid. There is a “Faberge Egg” of soft tissue and bone providing lift and support and the lateral end of the brow. As the female face ages, the eyebrows begin to descend due to volume loss in the soft tissue and bony structures of the face. There is downward drift and ptosis of the brow, lateral brow hooding, redundant eyelid skin and a disappearance of the eyelid crease. This also leads to the formation of crow’s feet. These changes are particularly noticeable at the arch and the lateral end of the brow. This gives the female face a more masculinized appearance. Restoring the eyebrow shape and height is an essential part of facial rejuvenating procedures. Minimally invasive, non-surgical methods of restoring a youthful, radiant appearance include toxin cosmetic muscle relaxing injections to elevate and shape the eyebrow and relax dynamic wrinkles, and dermal filler injections to restore lost volume and provide support and lift in the periorbital area. Care must be taken when rejuvenating the male face, to restore volume and relax wrinkles and folds without altering the shape of the eyebrows, as adding an arch would cause feminization of the male face. Three variants of non-surgical eyebrow lift could be achieved when using the muscle relaxing injections. The first is a horizontal lift, where the entire length of the eyebrow is encouraged to rise by about 5 to 10mm. When one is tired, the eyebrows descends lower, lifting the eyebrows horizontally will results in a fresher eyebrow look that is suitable for both men and women. The second eyebrow lift is more popular with women and is known as the lateral flare. In the flare, the outer segment of the eyebrow is encouraged upwards resulting in a more desired feminine appearance. The movement will further enhance smoothing of the crow’s feet and minimise upper eyelid hooding. Dermal fillers are used in the area above the eyebrow, know as the temporal ridge area. Small amounts are injected causing a vector of lift to the tail end of the brow. The results are instant. Given the delicate area treated, a soft cannula is used to inject the dermal filler instead of a needle. A moderate but appreciable natural lift is achieved.